Occasionally some rarer objects turn up on fOssilfinder. One such object is that of a piece of fossil wood. 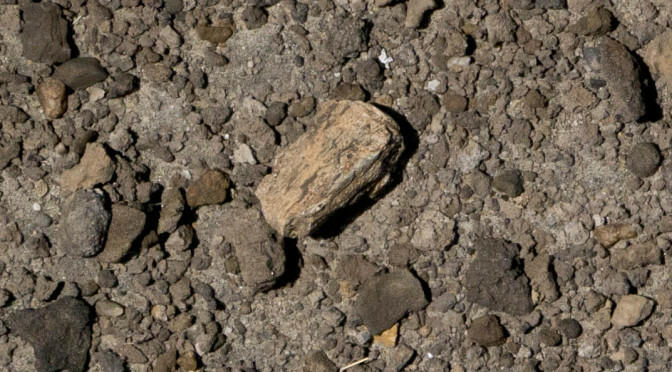 The paler piece in the bottom of this image is the piece of fossil wood. It stands out amongst the many other sandstone pieces in this image. Fossil wood has a streaked appearance to it and if broken in cross section tree rings can be seen in the fossil too. 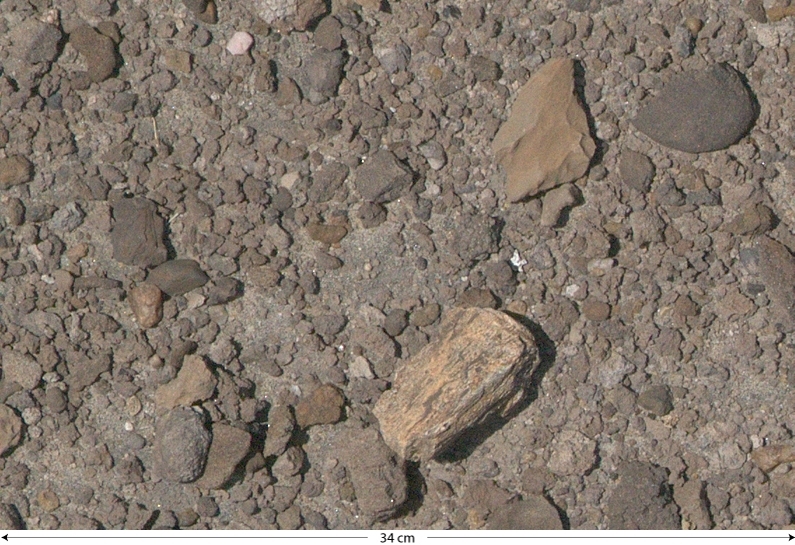 There are a variety of different woods, including some from palm trees, although it would be difficult to identify the type of wood from the resolution in the fossil finder images. Towards the eastern margin there are fossil sites in which fossil wood is abundant. Pieces of wood turn up in the fossil exposures that have been carried in streams or sometimes carried in as raw material for stone tools. 947425 (5.8, 20) I think this photo shows another variation of fossil wood commonly known as petrified wood. The classic reference for this style of fossil wood is the Arizona Petrified Forest.